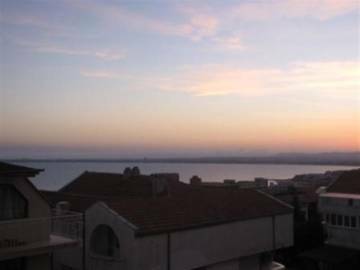 APARTMENT WITH SEA VIEW IN THE TOWN OF SVETI VLAS! Resale fully furnished two-bedroom apartment ! Coastal real estates in Bulgaria. Luxury fully furnished two-bedroom apartment, for sale in Bulgaria, on the Black Sea coast, just 250 meters away from the sea in the town of Sveti Vlas and 500 meters away from Sunny Beach Resort. Permission for use - Act 16. Possibility of night and beach fun, fishing and hunting, golf. Coastal real estates in Bulgaria. Fully furnished two-bedroom apartment for sale in Bulgaria, on the coast, in a building without maintenance fee in the central part of the town of Sveti Vlas. Permission for use - Act 16. The building is nearby the beach, on the Black Sea coast. Possibility of night and beach fun, fishing and hunting, golf. Coastal real estates in Bulgaria. Luxury fully furnished one-bedroom apartment, for sale in Bulgaria, on the Black Sea coast, just 50 meters away from the sea in the town of Sveti Vlas. Permission for use - Act 16. Possibility of night and beach fun, fishing and hunting, golf. Resale fully furnished studio ! Coastal real estates in Bulgaria. Luxury fully furnished studio, for sale in Bulgaria, on the Black Sea coast, just 150 meters away from the sea in the town of Sveti Vlas. Permission for use - Act 16. Possibility of night and beach fun, fishing and hunting, golf. Coastal real estates in Bulgaria. 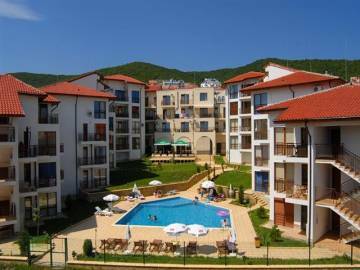 Luxury fully furnished studio, for sale in Bulgaria, on the Black Sea coast, just 80 meters away from the sea in the town of Sveti Vlas and 500 meters away from Sunny Beach Resort. Permission for use - Act 16. Possibility of night and beach fun, fishing and hunting, golf. Coastal real estates in Bulgaria. Luxury fully furnished studio, for sale in Bulgaria, on the Black Sea coast, just 150 meters away from the sea in the town of Sveti Vlas and 600 meters away from the town centre. Permission for use - Act 16. Possibility of night and beach fun, fishing and hunting, golf. Two-bedroom apartment at the resort complex “Aqua Dreams”. 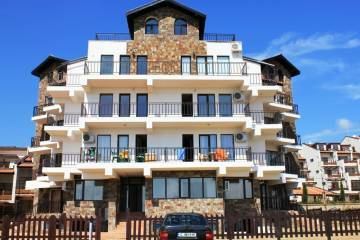 Located in the beautiful and quiet area between Sunny Beach and St. Vlas. Due to its specific location, Aqua Dreams offers a unique combination of sea view and fascinating green nature. 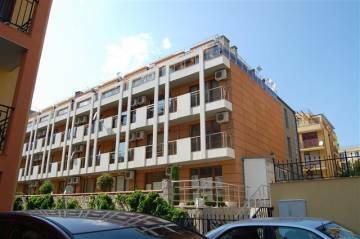 It is situated only 100 meters from the coastline and approximately 500 meters from Sunny Beach. Coastal real estates in Bulgaria. 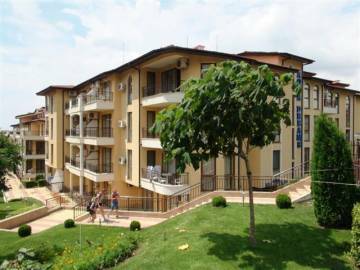 Fully furnished apartment - studio for sale in Bulgaria, on the coast, close to the sanatorium of the town of Sveti Vlas. Permission for use - Act 16. 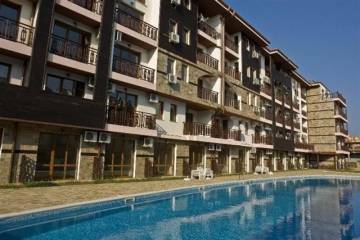 The Complex just 350 meters away from the beach in the Sunny Beach Sea Resort, on the Black Sea coast. Possibility of night and beach fun, fishing and hunting, golf. 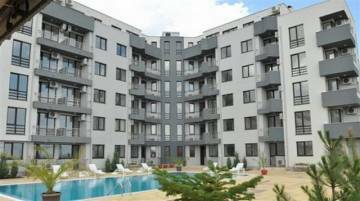 Fully furnished apartment for sale in a famous complex in Sveti Vlas. Two-bedroom apartment for sale at the seaside. 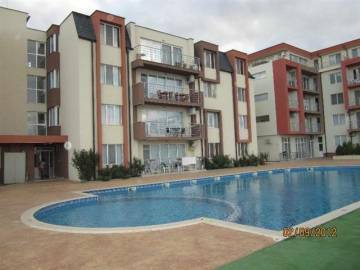 Buy apartment in a very good conditon at the seaside. 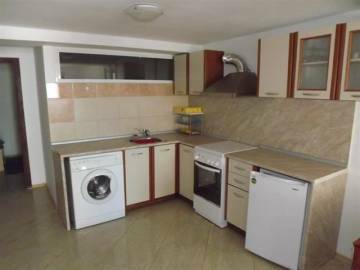 Furnished apartment for sale in complex Solo, Sveti Vlas. Coastal real estates in Bulgaria. 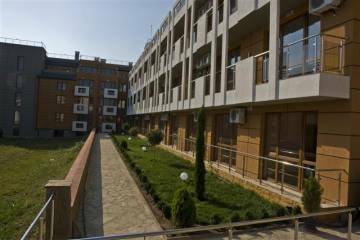 Furnished studios and one bedroom apartments for sale in a complex in Bulgaria, on the coast, in the town of Sveti Vlas, Nesebar. Permission for use - Act 16 - 02.2012. 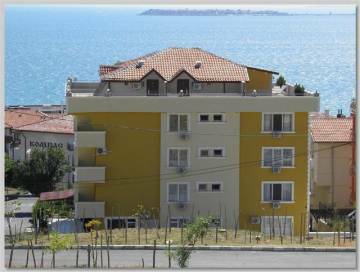 The Complex just 300 meters away from the beach, on the Black Sea coast. Possibility of night and beach fun, fishing and hunting, golf. 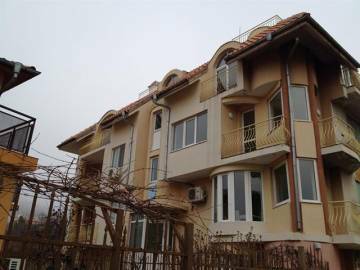 Nearest Town: Nessebar - 10 km. The nearest airport: Burgas - 40 km. Coastal real estates in Bulgaria. 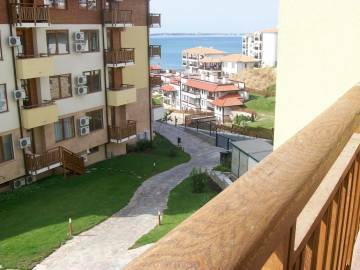 Fully finished studios and one bedroom apartment for sale in Bulgaria, on the coast, in the coastal town of Sveti Vlas. Permission for use - Act 16. 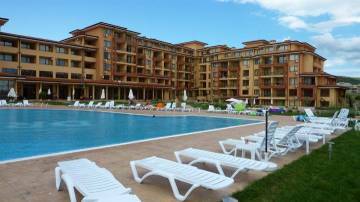 The Complex just 150 meters away from the beach, on the Black Sea coast. Possibility of night and beach fun, fishing and hunting, golf. Coastal real estates in Bulgaria. 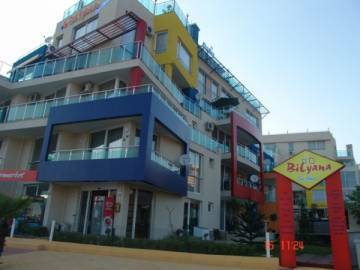 Fully furnished apartment - studio for sale in Bulgaria, on the coast, close to the beach, in the coastal town of Sveti Vlas. Permission for use - Act 16. 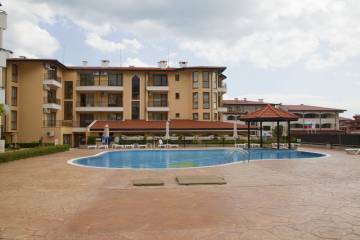 The Complex just 150 meters away from the beach, on the Black Sea coast. Possibility of night and beach fun, fishing and hunting, golf. Coastal real estates in Bulgaria. 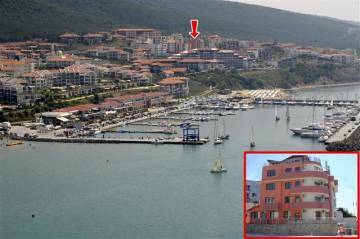 Turnkey apartments for sale in Bulgaria, on the coast, in the coastal town of Saint Vlas, permission for use, Act 16 - October 2011. 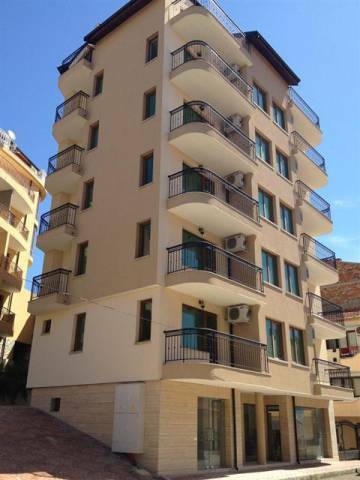 Cheap studios, one-bedroom and two-bedroom apartments on the Black Sea coast. Coastal real estates in Bulgaria. 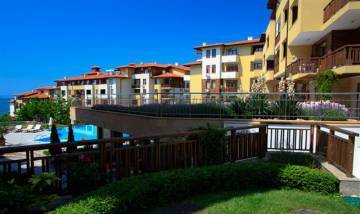 Turnkey apartments for sale in Bulgaria, on the coast, in the coastal town of Saint Vlas with permission for use, Act 16. 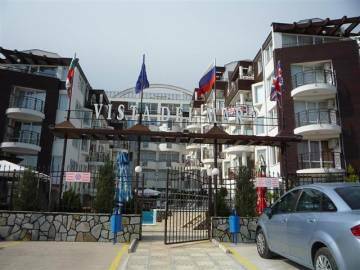 Cheap studios, one-bedroom and two-bedroom apartments on the Black Sea coast.